Gregg Horowitz '81 fell in love with Sarah Lawrence as soon as he arrived. "I came from a very small town in upstate New York, and I was among the first in my family to go to college," he recounts. "Sarah Lawrence was an eye-opener and a life-saver for me. I had an unusual learning style, and even after I switched direction from filmmaking to philosophy, I wanted to blend my philosophical fascinations with careful study of the arts. My professors encouraged me to hold on to all my various interests. Their dedication, careful advice, and personal guidance were invaluable." Horowitz went on to get a PhD in the Philosophy of Art at Rutgers University and then spent several years teaching at Vanderbilt University. He now serves as Chairperson of Social Science & Cultural Studies at Pratt Institute, where he continues his work in the space where the arts and liberal arts education intersect. He lives in Manhattan with his wife Ellen Levy, a professor of literature in Pratt's department of Humanities and Media Studies. When not working, the couple enjoys cooking, wine, travel, and everything that New York City has to offer. 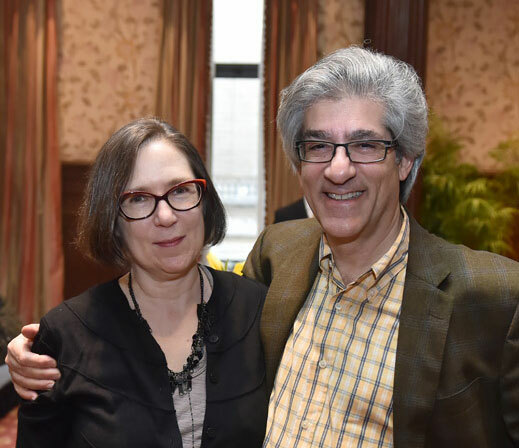 Horowitz and Levy made donations to The Fund for Sarah Lawrence for many years, but decided to support the College in a more robust way after a meeting with President Karen Lawrence. They admired her leadership in thinking about the liberal arts, and were impressed with the College's newly developed assessment tool for student learning. They also share President Lawrence's opinions about the importance of scholarships and financial aid. Mr. Horowitz explains: "Ellen and I care deeply about providing young people, particularly first-generation students, access to a liberal arts education. This has long been one of our leading causes. It is critically important to the health of higher education that fresh perspectives are part of the conversation. It is also crucial to the health of our democracy that access to the best education be fairly distributed. Ellen is a native of Detroit and lived through its tragic decline. It has a large population of potential first-generation college students and, by establishing the scholarship, we wish to give back and help students who might one day be able to give back to their communities in turn."